All Big Shocks are custom made per order, Please allow 1-2 weeks to build and ship. Check to see if in stock for instant shipping. Big Shocks are built to the highest standards in the industry. 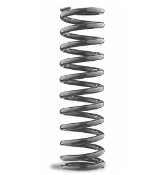 Every one of our shocks are tested, rebuildable, and revalvable. We manufacture our shocks in-house, right here in the U.S.A. This means that we have total control over production tolerances and quality. Our production system ensures that when you buy Big Shocks, you have bought the best! Billet Aluminum spring cap, spring seat and spring slider included. MUST HAVE Limit Straps, Bump Stops, Sway Bars.